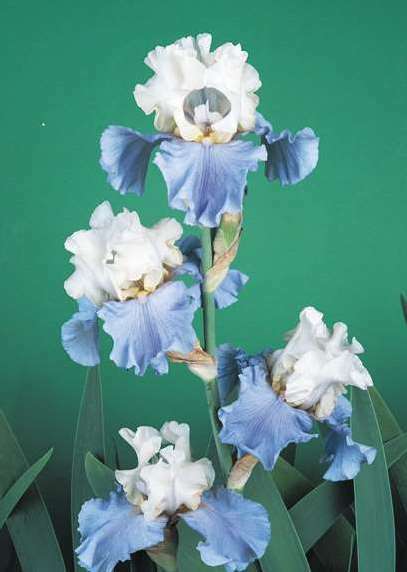 In addition to the KAA’s Celebration of Flowers Show, the Keizer Chamber of Commerce has chosen the Stairway to Heaven iris for the 2020 Iris Festival. In May at the KAA Celebration of Flowers show, the artist whose presentation of this iris is chosen by the Chamber will win $200….and it will represent the 2020 Keizer Iris Festival. This show will be a really fun one. We look forward to the gallery being filled with lots of “flower” art. Children ages 4 – 14 are encouraged to enter this show as well. INTAKE is Wednesday, May 1st, 3 – 6 pm. Pick up of art Wednesday, June 5th, 3 – 6 pm at the gallery. KAA cannot store or be held liable for artwork not picked up on June 5th, unless prior arrangements have been made. KAA will not hold artwork beyond 30 days and after 30 days the artwork will become the property of KAA. THE ARTISTS’ RECEPTION will be held Saturday, May 4th from 2 – 4 pm. Plan now to attend the reception. The public, artists, family and friends are invited. Awards will be present at this time. Artists who are exhibiting works are encouraged to attend as the public enjoys meeting you and having dialogue with you. There will also be a raffle for many fun items. Keizer Art Association reserves the right to jury submitted art for suitability and as space limitations mandate. Please refer to guidelines for further details. Each piece entered must have the artist’s name, telephone number, medium and the name of the piece on a card that is affixed to the back of the art. Keizer Art Association reserves the right to jury submitted art for suitability and as space limitations mandate. Please refer to guidelines below for further details. Each piece entered must have the artist’s name, telephone number, medium and the title on a card that is affixed to the back of the art. 2D are typically two dimensional pieces, such as: watercolor, oil, acrylic paintings, mixed media, or colored pencil. 3D typically show width, height and depth, such as: fabric art, carving, modeling, or welding materials into a work of art (for example, a sculpture). Photography – Any image created within the confines of a camera and using camera related adjustments in post processing for lighting, contrast, color, sharpness, cropping, etc. Kid’s Art – Any of the above mediums entered by children 4 – 14 years of age. Digital Art – Includes photos edited and changed artistic filter adjustments in post processing, photo painting, digital collages, integrated art, digital painting, or any other artistic rendition using computer and software. ­All work must be original to the artist. All mediums are acceptable and it is open to all artists. Edges of unframed wall art must be suitably finished (no visible staples/jagged edges). Wall art must have a sturdy hanger. Examples of acceptable hangers which must be compatible with our hanging system: A wire in the top third of the piece of art or another built in hanger in the back of the piece of art. Sawtooth hangers are not acceptable. When there is a question regarding the appropriateness of the hanger, one of the board members at intake will try to hang the art. Their decision to accept or reject the hanger will be final. 2-D work must not exceed 48” x 48”. 3-D work must be freestanding and less than 50 lbs. Jewelry and other small objects should be displayed in a secure, professional manner. Artwork exhibited in this gallery within the past two years is not acceptable. Up to four entries per artist are permitted. Entry back must have card with artist’s name, telephone number, medium and title. This exhibit is juried and ribbons will be awarded for best of show, first, second and third place and honorable mention in each of these categories: 2-D art, photography, 3-D art, digital art and kids’ art. The decision of the judge(s) is final. A $50 award will be given to the artist of the best of show. Members: $10 for first piece; $15 for two pieces; $15 for diptychs and triptychs (a single work of art displayed on two or three panels}; $20 for three pieces; $25 for four pieces. Poster contest entries – $5. Non Members: $20 for first piece; $25 for two pieces; $25 for diptychs and triptychs; $30 for three pieces; $35 for four pieces. Youth: $5 for up to two pieces. This division is open to all youth (14 years old and younger). Commission fee for sales is 60% to the artist and 40% to KAA. A signed Entry Form and fees must accompany your entry. Entry Forms are available on our website, at the gallery or requested by email.